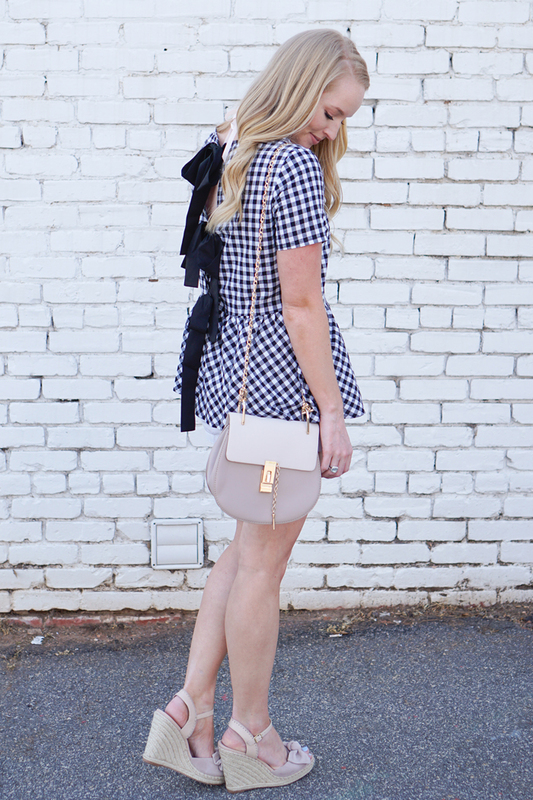 Today I’m wearing the cutest gingham top gifted from Shein. 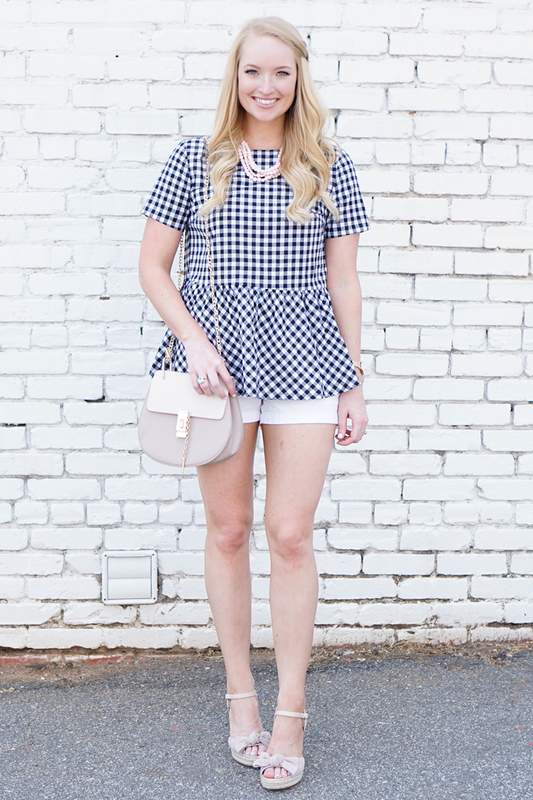 If you love a peplum, bow, or gingham, this top has it all! 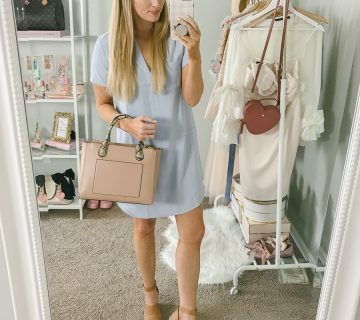 I’ve always been a little hesitant on ordering from Shein because the prices seem too good to be true, but their selection is great for those trendy pieces you don’t want to invest in. 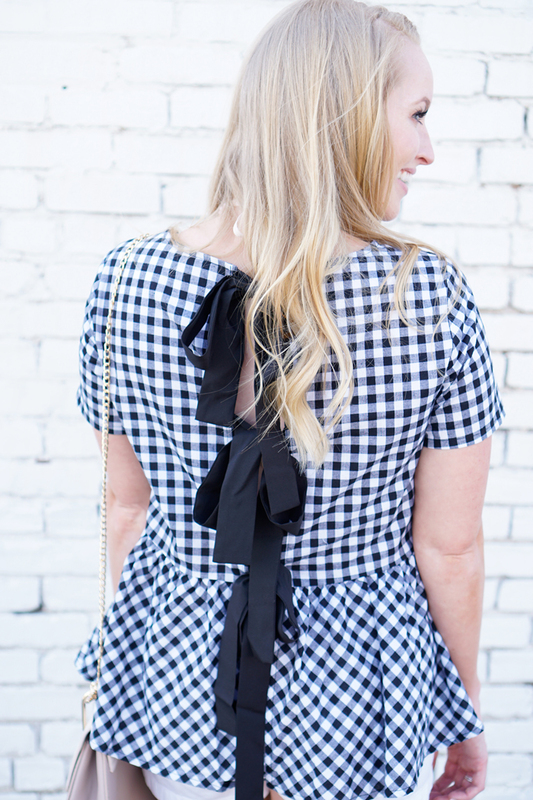 They are feeding my closet with all my ruffle and bow needs right now! I recommend looking at the measurements and photos of other people wearing them and know you’ll have to steam or iron them when they come in. I would also recommend paying the extra $2 for “insurance” the first few times you order to get an idea on their sizing. For my first purchase, I didn’t read the measurements and ordered a size up because I was expecting everything to run small like sizes in H&M. That doesn’t seem to be the case. For sizing reference, I’m usually a size 4-6 or small and I’m wearing a small top. Since this top is open in the back, you don’t have to be too careful looking at those measurements, but I would recommend measuring your arms because that’s the one area you may feel snug in if you order the wrong size. 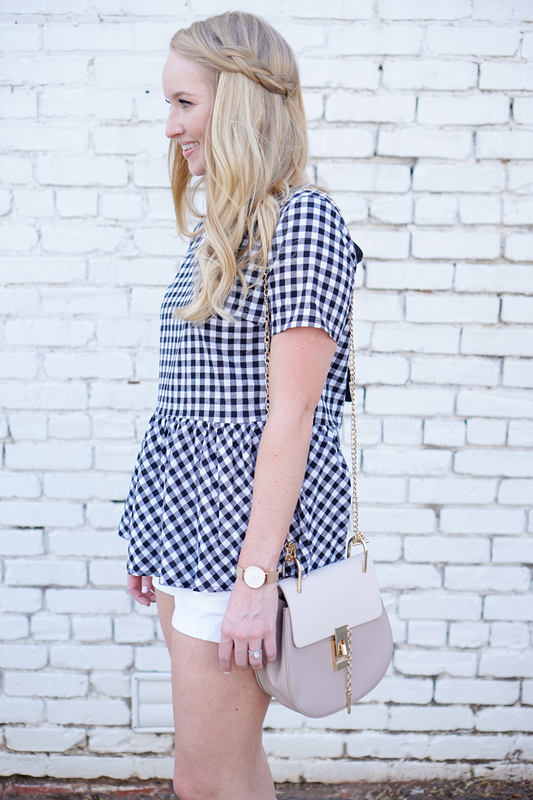 The top fits somewhat loose and boxy throughout the body, but the peplum detail keeps it flattering and feminine and I think the break up of gingham is a nice touch. Also, the middle bow aligns perfectly with my bra strap, so no worries there if you don’t want to wear a tank underneath when it warms up for summer. And no, I didn’t spend $2,000 for the popular Chloe Drew bag. This one a $30 dupe gifted from the same place! As a heads up, you just tie the metal chain in a knot to the handles. It took this blonde here a moment to figure that out 🙂 Next on my list are these bow slippers, a dupe for a $70 BP version and a $200+ Kate Spade version! This top is just darling!! I'm totally swooning over the bows! 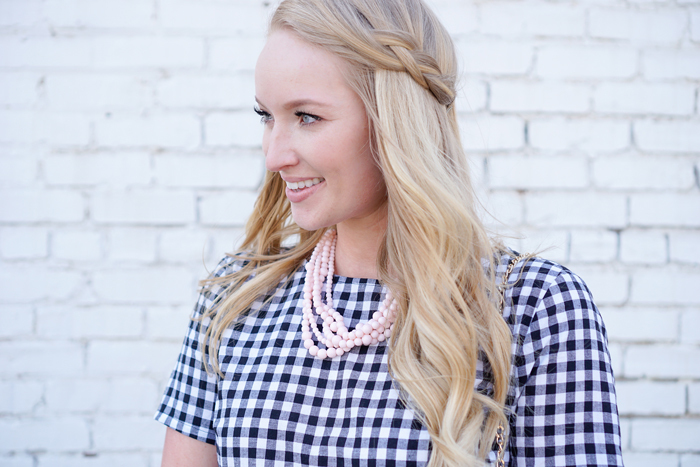 That gingham bow top is so gorgeous on you! Love it! Such a cute top! Love it with those white shorts! This is such a cute top! I love the bows in the back! LOVE this top! It's so perfect for spring! Ahhh I def need this top! This top is so cute! 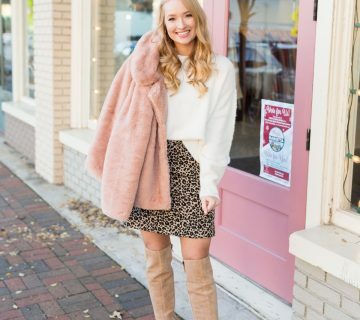 Love the bows in the back and it's such a great find! This top JUST arrived at my doorstep today and I'm already in lovelovelove! Wait the back of this dress is perfection!! 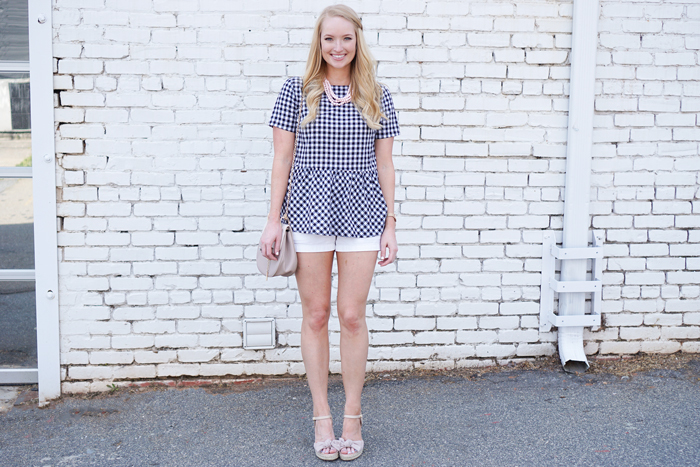 Can never say no to a good gingham top!